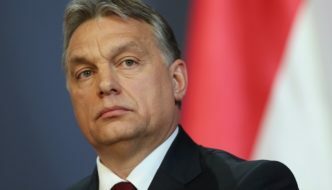 The Hungarian government has vowed it will never accept radical Islamic terrorism as “something we have to live with”, as the EU subjects it to a “witch-hunt” for its strong stance against open borders and mass migration. Hungary wants to remain a Hungarian country. We do not want to become an immigrant country. For this reason we are strongly against all European decisions that encourage African migration. It is particularly important for other Western countries — those that are historically built on immigration — to understand that vetting of immigrants is critically important, as is an understanding that immigration is a two-way street: immigrants must be a benefit to the host country and must respect its constitution and interests. Hungarian leader Viktor Orban has even been accused of “using fears to boost his popularity,” when in fact the reverse is true. Politicians who implement suicidal immigration policies and pretend they are about diversity and acceptance are the ones who are politicking and trying to boost their popularity at any cost, including gambling with the lives and well-being of their citizenry.